Develop a custom blueprint for higher education career success. How well does your assessment of your leadership skills align with the perspective held by campus leadership, peers, work colleagues, or direct reports? How well do your emotional and social skills inform how you make decisions or respond to workplace challenges? What action steps/ accountability tools will help you get to your next position? Dianna’s 25-year expertise in guiding colleges and universities in planning and assessment initiatives informs her unique approach to executive coaching. 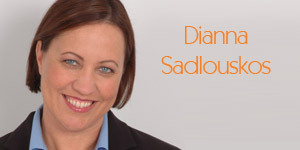 Concurrent to consulting experience, Dianna has advised individuals on leadership and career strategy. The focus is on the individual first – with added insight for how unique higher education attributes influence the ability to expand leadership presence and position one’s self for career advancement. Dianna is certified to administer the EQi 2.0 and Hogan Leadership Assessments. Individualized coaching to polish executive presence and expand leadership skills. Strengthen strategic influence and credibility on campus and beyond. Guidance for building a high performance team. Prepare for the first 90 – 120 days in a new academic institution. Understand leadership strengths and possible derailers through 360 assessments. Craft a leadership aptitude growth plan based on leadership assessment results. Evaluate current experience to craft a path to the next career challenge. Identify performance strengths and resolve situational roadblocks to improve promotional opportunities. Prepare for a first executive job search and experience. Practical, outcome-focused guidance and execution strategies to launch a confidential executive job search campaign. Preparation and feedback for individual and panel interview sessions. Executive job search tactics leveraging social media tools. Professional portfolio (resume, curriculum vitae, LinkedIn profile) review and restructuring support. Coaching clients represent a diverse cross-section of universities and colleges. Universities and colleges represented in my coaching practice include: Columbia University, University of Georgia, Emory University, Oregon State University, Auburn University, Vanderbilt University, University of Nebraska, Bryn Mawr College, Pepperdine University, Michigan State University, University of California at Santa Barbara, University of California at Santa Cruz, California State University at Fresno, and Bellevue College. Coaching clients are leaders and aspiring leaders with academic and/or administrative backgrounds. Job roles include: provosts, vice presidents, department chairs, CIOs, DCIOs, CISOs, directors (academic and administrative), and professors. Functional areas represented include: academic, technology, student affairs, administrative and financial, and housing and auxiliary services. Individual career advisory services are confidential. References available upon request. Ready to start a conversation about your career? Contact Dianna at [email protected].